Electricity: North America has a voltage of 115-120 Hz. So if you are coming from overseas in countries other than Japan, China or Taiwan, you are going to need an adapter to charge your devices. Hours: You would think that a city that never sleeps never closes. Well, that's simply not the case. For shopping other than groceries or pharmacies/ hygiene products, Monday - Saturday, almost all the shops open from 10:00am to 9:00pm (21:00) and on Sundays from 11:00am to 6pm (18:00). Of course there are exceptions, and for neighborhood corner delis and bodegas in Manhattan, they are usually 24hours and even some pharmacies such as Duane Reade or CVS, are also open 24hours. You'll score the best deals on flights in January and February. Outside of these periods, it pretty much peak season all year round. Luckily, New York City is quite charming during the freezing months and especially so in central park when covered in snow. For flights we find Priceline or Skyscanner consistently offer the best or equals deals compare to other booking sites. Using the "name your own price" option, you can even find cheaper fares - but just be aware that the fares for this option are non-refundable. Ahh.. a cozy retreat during your New York adventure. Whether it's trendy SoHo or Meatpacking District or centrally located in Midtown's Hell's Kitchen or Near Grand Central, generally speaking anywhere in from Midtown and below are quite convenient to all the attractions. Even Upper East Side or Upper West isn't so bad but beyond that, you can be spending up to an hour by commuting depending on your destination. There are options if you are looking for affordable luxury hotels. However, the period just after the New Years (January, February, early March) is the quietest which means you may also find awesome rates even in a 5-star hotel. Head on here to see our NYC hotel recommendations and if you need space to store suitcases in the city in case of late departures, there are plenty of options available. 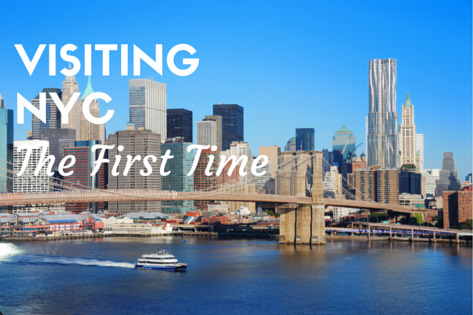 Look no further, all the interesting and exciting places to go in NYC are here. Check out some of the local favorites while you are here and discover something for yourself while in the Big Apple. Also useful is to have a plan or plans to keep organized with locations and inside knowledge handy. FreshNYC have expertly curated the best New York ideas, so just bookmark and go. Once you're through customs and officially on New York soil (that includes you Newark), several transport options available to the city. You will not see any of the famous skylines until you get closer to the city. Official NYC Taxi Easiest and most costly. You'll spot the famous yellow cabbies at a gathering stand just outside of the airport. Beware of the guys who offer taxi service in their private cars or limo and if you do go that route and not wait in line, just be aware that the standard rate is $60 from JFK, so negotiate if you don't want to pay more excluding tips. or Airport Express Bus if your destination is near Grand Central, Port Authority Terminal or Bryant Park which takes approximately 45 minutes to an hour. Buses depart every 15 - 30 minutes and you can purchase tickets and hop on in the bus area just outside of the Aiport . Tipping is always tricky for tourists, for some it's an art form. How much and when?